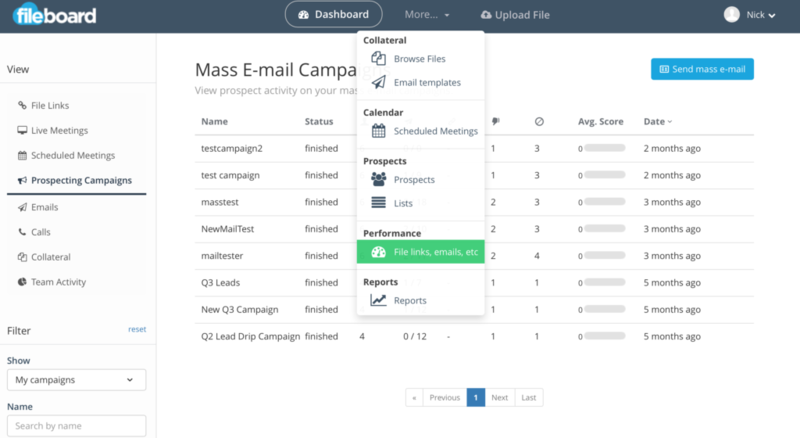 Fileboard allows you to create and manage campaigns for mass emailing. This article shows you how to create and manage campaigns for mass emailing. To start a mass email campaign, click More, click Performance and then click on Prospecting Campaigns. 2. Click on the Send mass e-mail button. 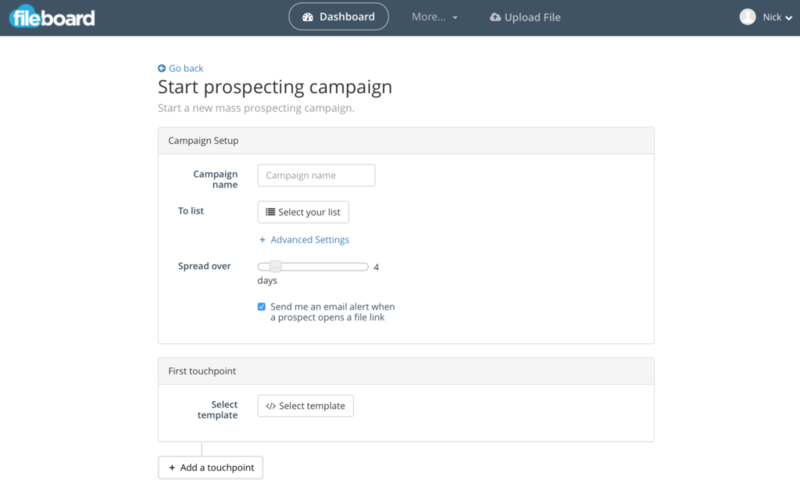 Type in a Campaign name, select an email template, select the list you want to send the campaign to and select how many days you want to spread the campaign over. To add a touchpoint click on Add a touchpoint. Type in the number of days you want to add the touchpoint after. 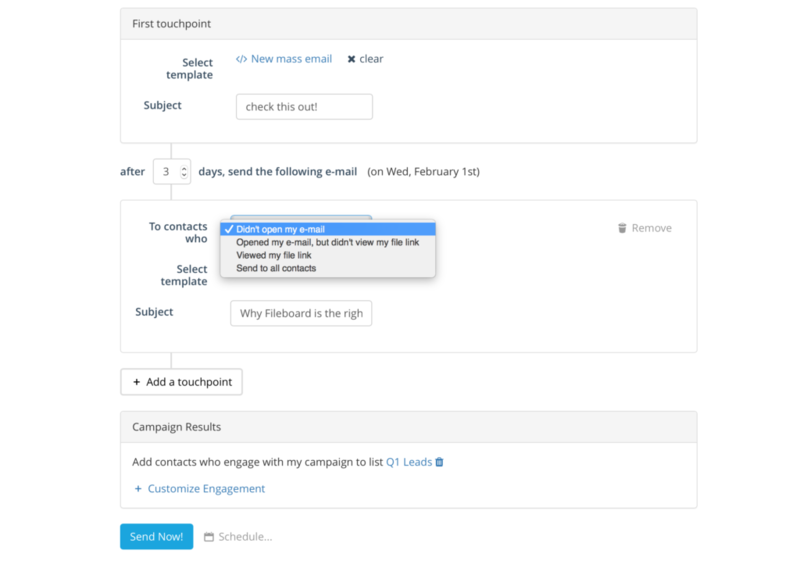 Select the email template you want to send and select the condition of the contacts you want to send the email to after the touchpoint. When done click on Start to send the email immediately or click on Schedule to schedule the email for a specific day and time. Lastly, you can send all your engaged prospects to a specific list. Anyone who opens or engages with your prospecting campaign can be put into this targeted, engaged list to follow up quickly with your interested leads. Your email campaign has been started successfully.